From the sales of All3Media and Channel 5 to the merger of Shine, Endemol and Core, deals worth a record £3.5bn were completed in 2014. There’s no doubt that 2014 was a mega year for the sale and consolidation of indies, with well over a dozen deals in this marketplace at a combined valuation of £3.5bn, according to mergers and acquisition specialist About Corporate Finance. To put that into context, that is more than twice the £1.6bn combined value of all deals completed over the previous three years. What’s more, the multiples being paid were largely in double digits. The appetite for indie producers was fuelled largely by companies keen to position themselves in an intensely competitive media consumption landscape, in which content creation and ownership is increasingly seen as a differentiator. Certainly, the indie consolidation leader board is led by two enormous transactions: the combination of Shine, Endemol and Core Media by Rupert Murdoch’s 21st Century Fox and Apollo Global Management, with a reported value of around £2bn; and the sale of All3Media to Discovery and Liberty Global International (LGI), with a value of £550m. But even without those two mega deals (see boxes below), nearly £1bn worth of other deals were done. ITV continued its buying spree and new players came on board for some consolidation, such as LGI, owner of Virgin Media. BSkyB, too, was keen to diversify its revenues beyond selling bundles of channels, broadband and telephony services. And then there’s Viacom, owner of MTV, Comedy Central and Nickelodeon, which bought Channel 5 for a headline price of £450m, a significant premium on the £105m Richard Desmond’s Northern & Shell paid four years ago, even factoring in deals on advertising and property that Viacom says it has secured as part of the deal (see bottom box). Not only is the competition growing, in part fuelled by the likes of Netflix, Amazon and Hulu pouring money into archive and newly commissioned content (particularly drama series), but indies of a certain size that are ripe for purchase are getting more scarce, resulting in multiple-bidder auctions and higher sales multiples. 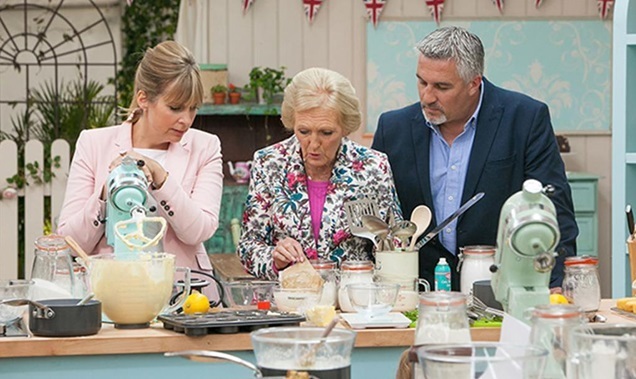 The sale of The Great British Bake Off and Benefits Street producer Love Productions attracted a large number of bidders and the financial bar to get into the second round was higher than usual. Love was BSkyB’s first acquisition in the indie space and the move is part of a wider plan to increase its clout in content, particularly now that it is part of Sky Europe, bringing together the Sky pay platforms in the UK, Germany and Italy. “We are interested in indies that have a good profile and strong brands, and in the security of programming supply for Sky,” says Sky Vision managing director Jane Millichip. For buyers, one of the drivers is scale. Shine, Endemol and Core joining forces moves the combined entity into the realms of the ‘mega-indie’ with a global scale that is hard to match. The question of scale, widening a company’s revenue potential and expanding into a more global footprint – where the biggest opportunities for growth lie – will continue to drive the market. ITV’s indie buying spree is about doing just that: its $360m (£230m) purchase this year of Leftfield Entertainment, the US maker of Pawn Stars, is part of an on-going hunt for international acquisitions. Having a global footprint is particularly important for producers of formats, says Cécile Frot-Coutaz, chief executive of Fremantle Media, but it is also a calculated response to the scaling up of the biggest platform owners – like the creation of Sky Europe. But pricing can be a hurdle, even for big players like Fremantle Media. It purchased Jersey Shore producer 495 earlier this year but dropped out of bidding for All3Media because any deal it does has to be “accretive to shareholders”. The big question about the purchasing fever this year is: how high will the prices go in a bull market? Argonon Group’s annual turnover is more than £50m and chief executive James Burstall plans to double that by 2016. He says he routinely fields calls from potential buyers but for now, he’s focused on growth. Argonon’s purchase of Windfall Films in February followed a year of talks to determine if it was the right fit, and Argonon is currently in talks with Amazon about producing factual shows. Although some senior TV figures like Channel 4 chief executive David Abraham have warned that consolidation by non-UK based companies could mortgage the UK creative sector, it is unlikely to slow down any time soon. With fewer companies of a decent size left to buy, at least in the UK, the next phase will likely include partnerships and smaller stakes in smaller indies – a strategy being pursued by BBC Worldwide, for example. Meanwhile, David Frank’s Dial Square Eighty Six, which has five acquisitions in its sights, including several outside the UK, is in the process of raising up to £25m. Frank wants to “do an RDF Media” again by bringing a number of indies under one roof. In 2015, we’ll also see more investments in smaller indies (those with £10m or less in turnover) by groups like the Business Growth Fund (run by several UK banks) and C4’s Growth Fund, which has already made five investments and is looking to nurture the next generation of producers (and benefit from their success). However, there are still several bigger UK indies on the sale block, including film and TV producer Neal Street Productions and Tinopolis, owner of Mentorn Media and Sunset + Vine, which itself has been very active in terms of acquisitions. After nearly seven years of owning a 48% stake, Tinopolis’ private equity owner Vitruvian Partners is eager to sell and the valuation is expected to reach at least £300m. With an expected £30m in profit, the company should land an expected sales multiple of 10 x profits. Other indies will continue to bulk themselves up. We might even see the emergence of new buyers like Netflix, or a telco like Vodafone or mobile operator such as EE, enter the market. Educating Yorkshire producer Twofour is splitting off its digital division, while questions hang over whether its private equity backer, Lloyds Development Fund, wants to sell its stake in the wake of the recent departure of Daniel Sasaki, former head of media for private equity firm LDC. Ten Alps, meanwhile, which counts Blakeway and Brook Lapping among its TV assets, has raised £300,000 from various shareholders to help it work out the next stage of its development. Who knows, the record £3.5bn deal valuation of 2014 may already be on course to be beaten next year. The agreement to combine Shine, Endemol and Core in the early autumn has created a £2bn mega-indie and proved the allure of scale in the market. The move was the joint idea of Shine owner 21st Century Fox and private equity group Apollo Global Management, which controls both Endemol and Core Media Group. Fox and Apollo will each own 50% of the new company across 30 TV markets, with 600 scripted and reality shows in their joint portfolio. The new entity has become known variously in the industry – at least until a new name is agreed – as Shendemol. The makers of hits including MasterChef (Shine), Big Brother (Endemol) and American Idol (Core) are hoping that the combination will give them clout with distribution platforms around the world, something that is becoming much more of an issue given the rise of trans-border distributors like Liberty Global International, the new Sky Europe and global digital giants like Netflix, Google and Amazon. Sophie Turner Laing will run the new company after spending 11 years at BSkyB, while in-house chief executives Just Spee (Endemol) and Alex Mahon (Shine) will step down next year. However, Endemol president Tim Hinks will stay on as the new number two. All3Media had bidders from a variety of quarters, but much to the industry’s surprise, the winner in this race, with a deal valued at £550m, was a partnership between Discovery Communications and Liberty Global International. They seemed an unlikely pair and Channel 4 chief executive David Abraham called the deal a blow to the UK creative economy. To him, this showed that US media companies are “eager to stay ahead of each other by internationalising their revenues, priming their distribution pipes and shielding their tax exposure”. Clearly, global players are trying to diversify revenues and differentiate themselves. LGI, for example, no longer wants to be known as a “pipes” company that simply bundles channels, broadband and telephony services. “People who control the means of distribution are now wanting to buy content. They want exclusivity to give their platforms a particular USP,” says Lorraine Heggessey, one of the newly appointed directors of the C4 Growth Fund. Discovery had already bought UK indies Raw and Betty and clearly believes strategically in the power of both distribution, channels and production, so owning the maker of Midsomer Murders and The Only Way Is Essex makes sense. The accepted wisdom of this deal is that with an eye-watering price tag of £450m – more than four times what Richard Desmond’s Northern & Shell paid in 2010 – Viacom must have greatly overpaid for Channel 5. The purchase was unexpected both inside and outside of Viacom, not least because it was the company’s biggest-ever international deal. But Viacom chief operating officer Philippe Dauman (below) justified the price, saying that C5 has sizeable advertising revenue potential and cross-promotional value with Viacom’s MTV, Nickelodeon and Comedy Central channels. Taken together, C5 and the Viacom channels have 13.4% share of commercial impacts and a combined viewing share of 8.4%, based on 2013 figures. Dauman believes there are additional synergies with children’s programming on Nickelodeon and C5’s Milkshake! strand in terms of consumer products and internationally distributable programming. C5’s total programme budget inherited from Northern & Shell, which Dauman calculates as £200m, will be “significantly increased,” he says, with half to go on original commissions. The first joint commissions include A Knight Called Nella and an MTV spin-off series to accompany 2015 C5 show 10,000BC, being produced by The Garden and GroupM Entertainment, which was already in the works when Viacom announced the deal in May.